Home / Celebrities & Gossip / Entertainment / Kenya / Diamond fails to attend Rick Ross’ birthday party…big mistake! Diamond fails to attend Rick Ross’ birthday party…big mistake! Rick Ross turned 43 on Monday January 28th. The American rapper threw himself a lavish birthday party that was attended by several celebrities. Diamond Platnumz however didn’t make it to the birthday party, not even sure if he received the invitation from the American rapper. Anyway Diamond took to social media and posted a clip of the birthday party as he wished Rick Ross a happy birthday. 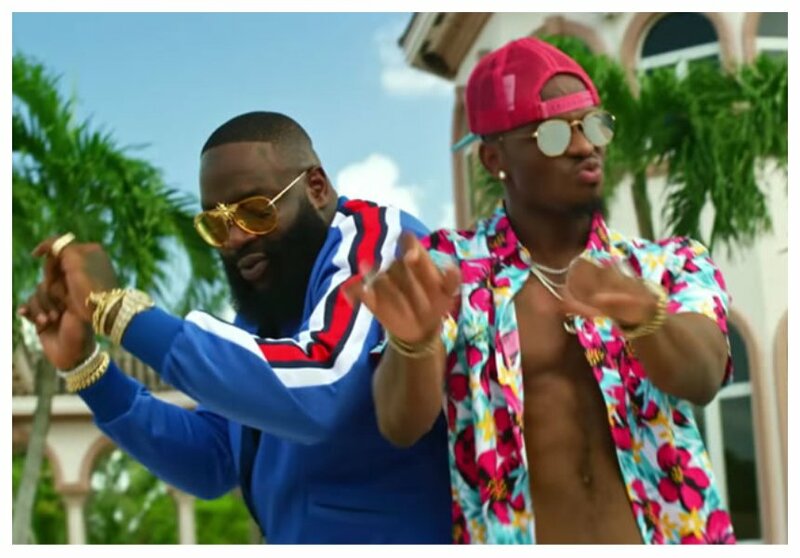 Netizens ruthlessly trolled Diamond after he was ‘snubbed’ by Rick Ross. The irony is that the Tanzanian singer postponed his wedding saying that he wanted the likes of Rick Ross, Omarion to attend. Oficialdiwan: VP HUKU PATA MWALIKO .